I recently went through a massive de-cluttering of my closet. My husband and I decided to take on a minimalism challenge that was presented, and I ended up getting rid of about 100 or so shirts, pants, purses, accessories, socks and shoes. At first it was liberating. Getting rid of that many items in a space as small as a closet makes a huge impact. Then a little bit of fear set in when I started thinking, “But what if I need that tote bag later? !” I’m happy to report; I haven’t regretted the decision to get rid of any of those items. 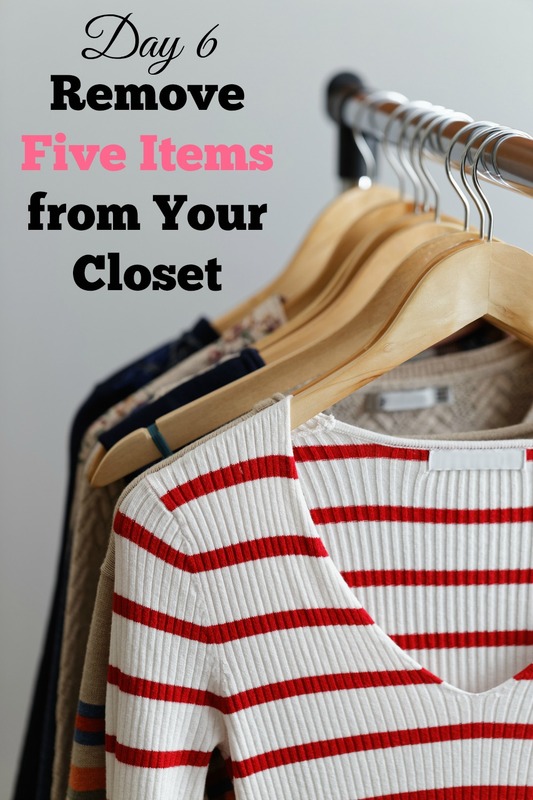 In fact, it’s allowed me to really enjoy and appreciate the items that do fill my closet. If you’re anything like me, you have a few articles of clothing you don’t like, but you keep anyway. Do we think that shirt that rides up over and over again is going to magically become more comfortable as it sits in the closet? No! Or what about those pants that bunch in the weirdest place and make you feel uncomfortable? Nope. It’s not going to change either. Why do we hold to clothes, shoes and accessories we don’t truly love? There are a number of reasons really. Maybe we think we’ll regret it. Maybe we think we’ll eventually give it to someone who will love it. Maybe we spent our hard earned money on it and the idea of getting rid of it hurts. Or maybe we just like the feeling of owning items and having a full closet. Whatever the reason is, it’s time to free yourself of things that don’t make you feel like a million bucks. You work hard. You are constantly giving of yourself to other people. You are constantly pouring into your family. It’s time for you to feel good about the way you look. Step one is to get rid of the clothes in your closet that don’t make you feel good. If you have to put on clothes everyday (and I’m guessing you do) then why not put on clothes that seem made for you? Here’s my challenge. 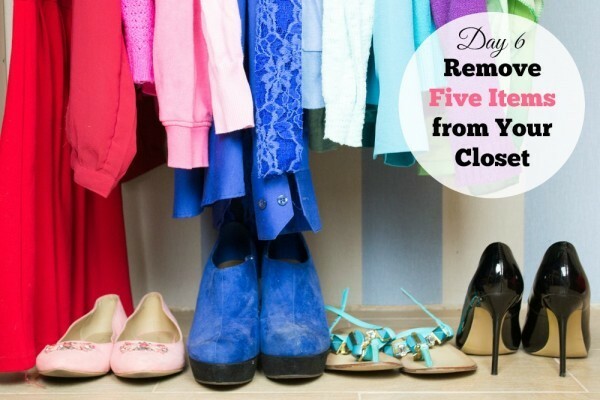 Go into your closet and get rid of 5 items of clothing you know you don’t wear or like. It’s just five. I know you can do this! Then, take those 5 items and get them out of your house immediately. Put them in the trunk of your car to drop off at a donation facility. Or if they’re so ratty no one will want them, throw them away! Just get rid of them. Welcome back. How did that feel? Liberating right? Hold on to that feeling and pat yourself on the back for doing something for you. I am in the process of redoing my closet so naturally I’ll be doing a big purge! Thank you for the reminder of not keeping what you don’t love. You’re welcome Sheila! I need to do this in every room of my house.